The first big change for AHS this year is no quiz night with SADGA. It is so sad they have had to close their doors. We wish them all well and hope to see you from time to time at our shows, meeting and outings – there will always be a warm welcome and a cup of tea for you all. Another year of challenges – weather and otherwise – has zoomed along and we look back on all four shows with fantastic results and smiles. Wonder what 2019 has in store for us. No matter what I know we will all cope and continue to encourage things to grow and bloom. The Spring show was a bit of a challenge this year, but you all managed to enter something. Beast from the East kept us all on our toes, but we will find a way to carry on. If it is February it means it is Fosdick Time all ready. It was AHS turn to host this yearly quiz. On such a cold, wet and horrid night, the all weather members of both societies came together to socialise, eat, and WIN. With a prompt start and a brisk pace we were off. First round was won by SADGA. Second by AHS. Third was a draw. Fourth was a draw. For the first time ever – we needed tie break questions. First question was a draw. Second question produced a winner SADGA. Who knew it would all rest on the date of the garden around Queen Mary’s dolls house at Windsor. Sky Sports would have been proud of the build up and tension throughout this well fought quiz. 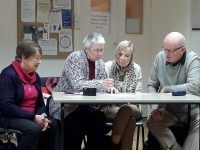 Congratulations SADGA (Chris, Brian, Liz and Rosemary), well done AHS (Jim, Jonathan, Greg and Peter) and thank you to everyone who took part. Quiz Queen Jenny kept everything moving and entertaining. You get to rest next year. Thank you also to the supporters who also did the quiz – yes you’ve guessed it SADGA supporters won the box of chocolates for the highest score. I noted that the supporters did not bring pompoms again. A good time was had by all. Looking forward to next year because I now have an empty space where the trophy used to be. As I mentioned earlier, there would be more bulbs that needed planting. Well, November delivered a bag of daffodils via Peter. 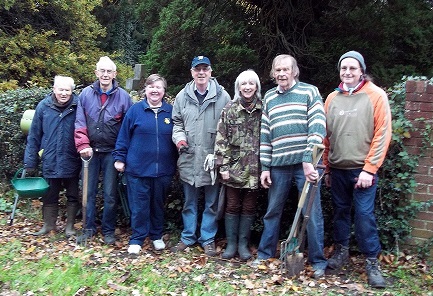 The call went out for volunteers and seven hard and hearty souls pitched up at All Saints. Many hands made light work and before you could say ‘Wordsworth’ all the bulbs were in. Thank you to Peter, John, Jenny, Keith, Liz, Keith and Jonathan. We also thank a passing shopper – carrying and ironing board – for stopping to take the group photo. Maybe we will see him again next year -without the ironing board? 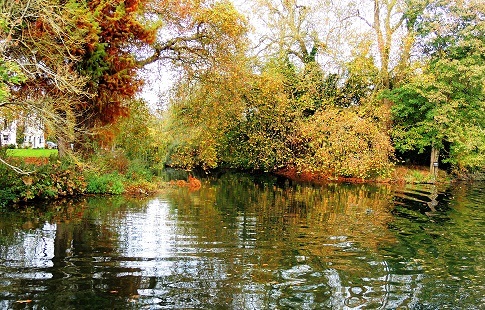 Not content with tending all our gardens and allotments, once again we took to the water. This time not on a long narrow boat but a Thames cruiser. 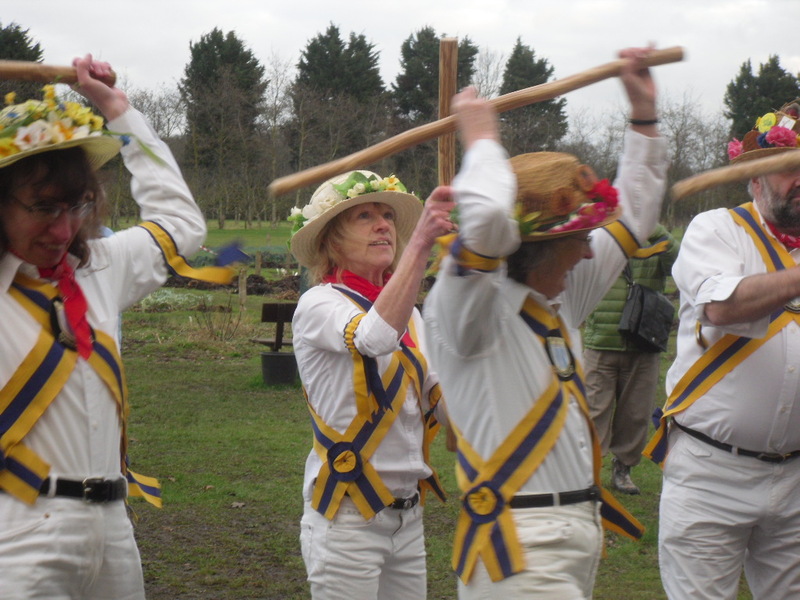 Thanks to Jenny for organising everything – including the weather. 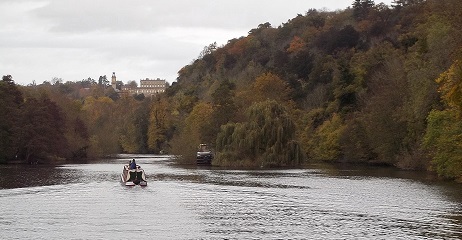 A jolly time was had by all, messing about on the river, and oh what colours nature spread out before us. 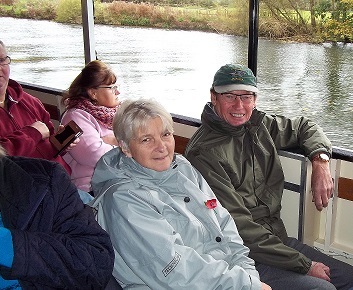 Looking forward to the next outing – anyone for the Amazon? All those daffodil bulbs we planted around Ascot have been blooming lovely. I am sure there will be more to plant in November. Come and join us for a hour of planting. Details to be given at the October/November meetings. 2017 has been another busy year. 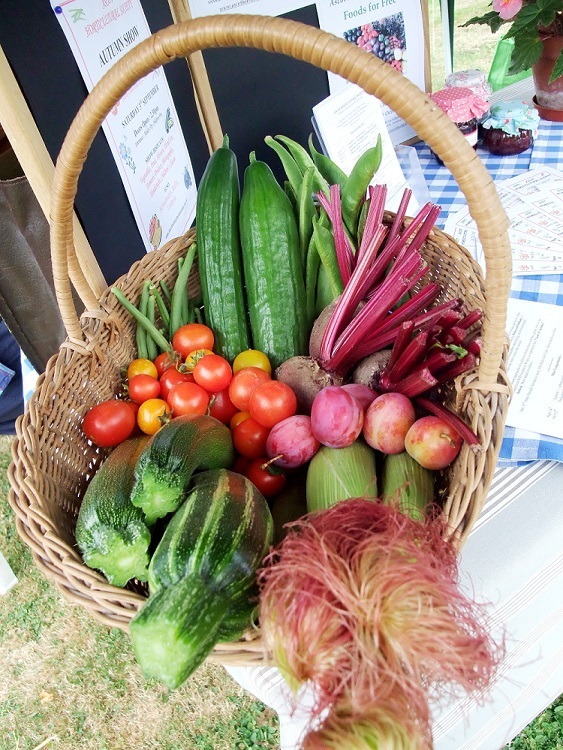 So many plants, fruit and vegetables where to put them all. Well dust them down and with a bit of TLC you can enter them into one of our four shows. Check the schedule, I know there is something for everyone there. Another year and another quiz night against SADGA for the Alistair Fosdick trophy. YES! AHS managed to retain the trophy thanks to Jim, Alun, Jonathan and Liz. Note to supporters, you can bring pom poms next year. Thank you to Chris (SADGA) for the photos. December 2016 and our Christmas show was amazing thank you to all for the hard work getting your exhibits looking so good. Everyone enjoyed the Christmas lunch at Mill Ride Golf club. 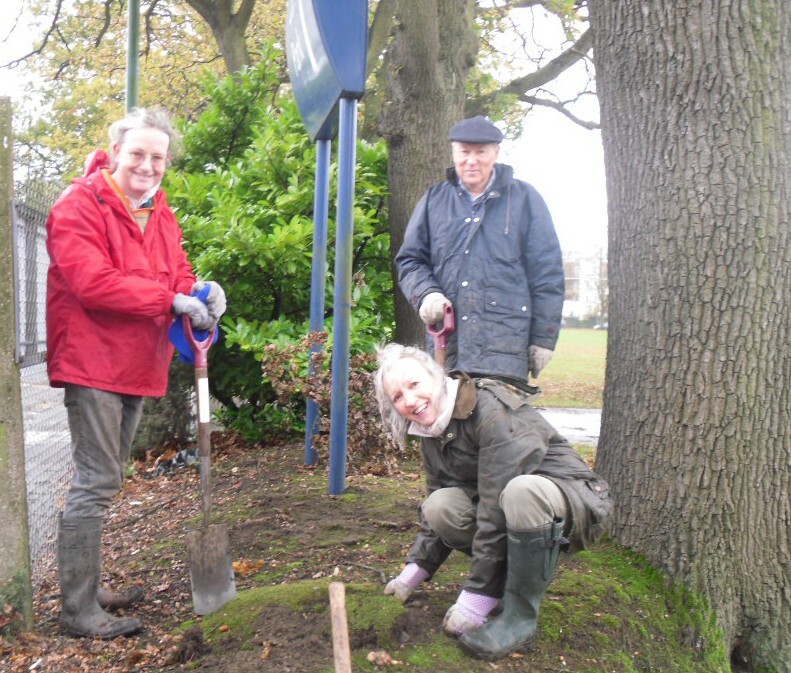 November also saw AHS members planting even more daffodils around the racecourse and All Saints Church. Hope they brighten your day.Wow, November all ready! 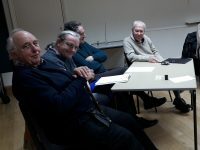 Our annual AGM and prize giving. 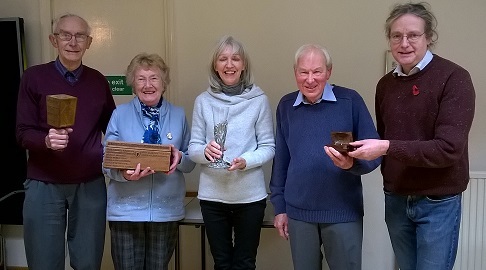 John and Gwyn Bollands received the box and gavel for service to the society. There was a tie between Peter and Jonathan for the most points in the monthly mini shows, so they will share the ‘Woods’ medal. 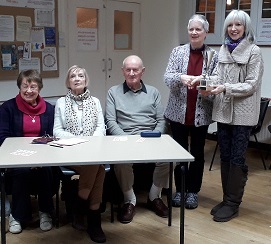 Liz won the trophy for most points for the monthly ‘Flower of my choice’ competition judged by the visiting speaker of a member of the society on the night. Well done to all. A special ‘thank you’ to all the committee and society members for your help and energy that keeps our society going. When a bag of 500 daffodil bulb appear who do you call for? Yes, the Ascot diggers. Look out for the dancing daffodils along the racecourse fence and also inside and outside All Saints church. Thanks team, we will have to wait till spring to reap your efforts. Jenny is taking the picture. October and our trip to Wisley for the festival. A lovely time was had by all. Autumn colours just starting to peep through. Thank you once again to Peter. September 2016 and we are back at Henry Street Garden Centre. 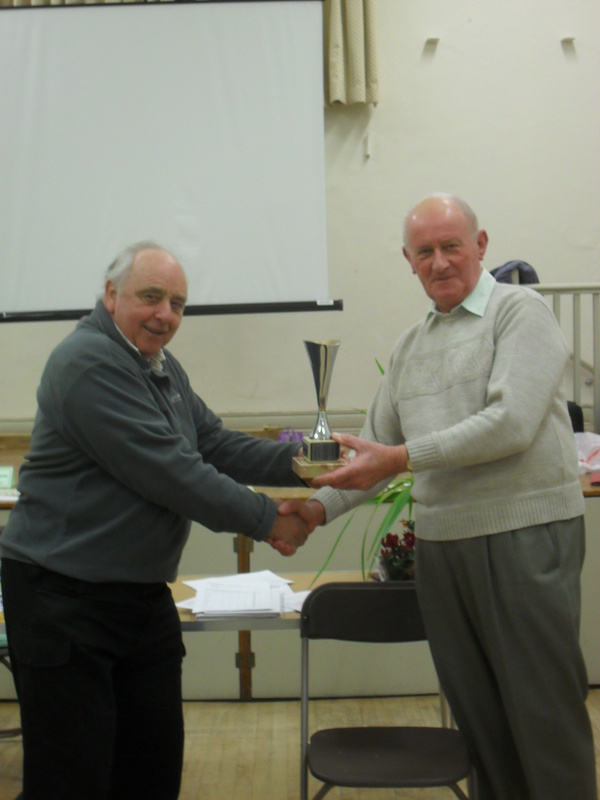 Having won the cup last year it was time to come together with all the surrounding garden societies and battle it out. Congratulations to Yateley, a fine performance and worthy winners. Well done to our all male team Jim, Peter and Jonathan. We look forward to next year. 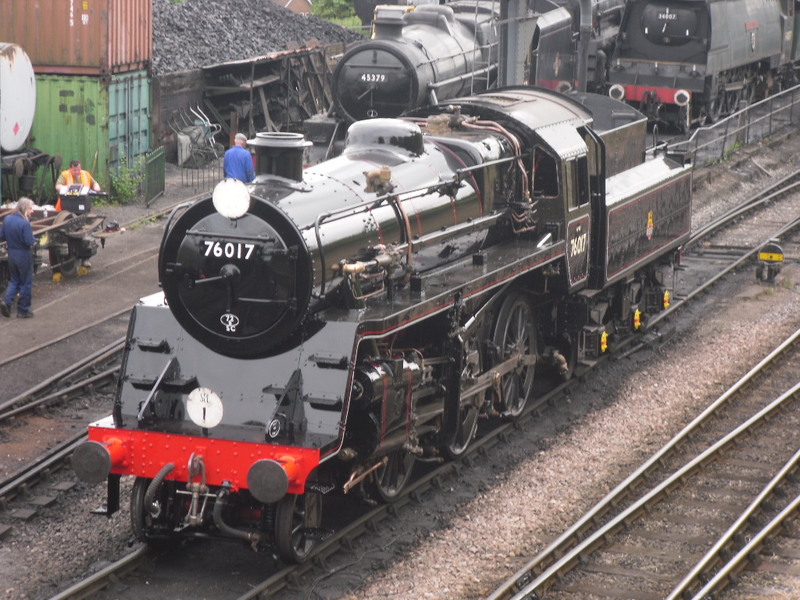 16th August we all enjoyed our day trip to the Mid Hants Railway known as the ‘Watercress Line’. The morning was spent at The Watercress Company site close to the railway. We had a tour and a talk given By James Harper the commercial manager. 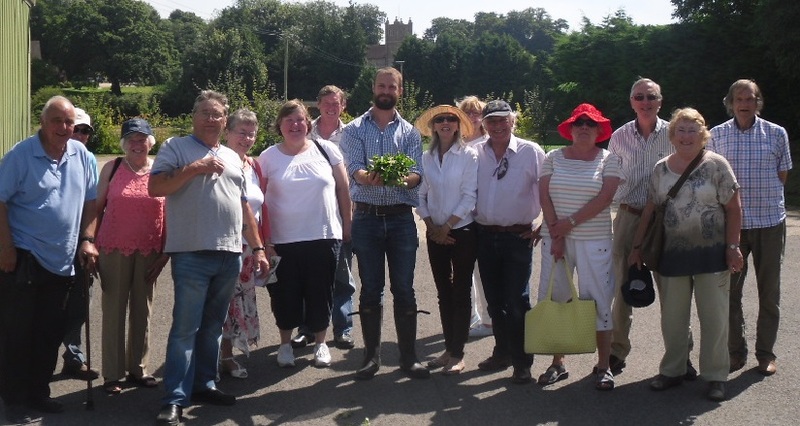 He explained the history, cultivation, production and harvesting of their watercress. It was fascinating and informative. After a free style lunch we all met up later at New Arlesford station to catch our afternoon train and enjoy a real cream tea as we rode the line in style behind a steam locomotive chuffing and puffing all the way. 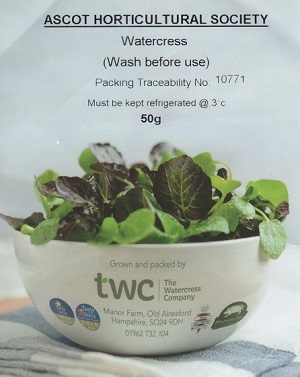 Before we all set off for home Peter presented us with a hand picked bag of watercress courtesy of TWC. It was a day where we all stepped back in time and enjoyed the gentle countryside once again on a steam train. Thank you Peter for organising a wonderful day. 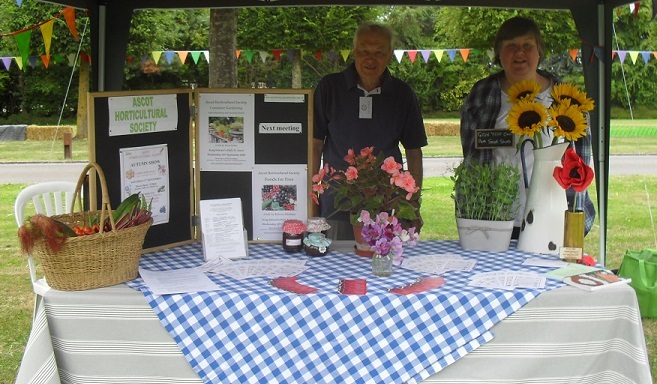 We were invited to display our stall at the Cranborne Village Party 14th August 2016. Lovely day, fabulous setting at Kilbees and lots of entertainment for all. Our shows are doing well for entries so far despite the odd weather. The Summer show was a blast of colour, checkout the gallery page. 2016 is off to a good start. We won the annual quiz with SADGA this year. Good evening with good company and good food. Thank you to all who supplied the scrummy food. Thank you to SADGA team members for a lovely evening. Maybe next year? Once again the team have been out planting daffodils in car park 1. 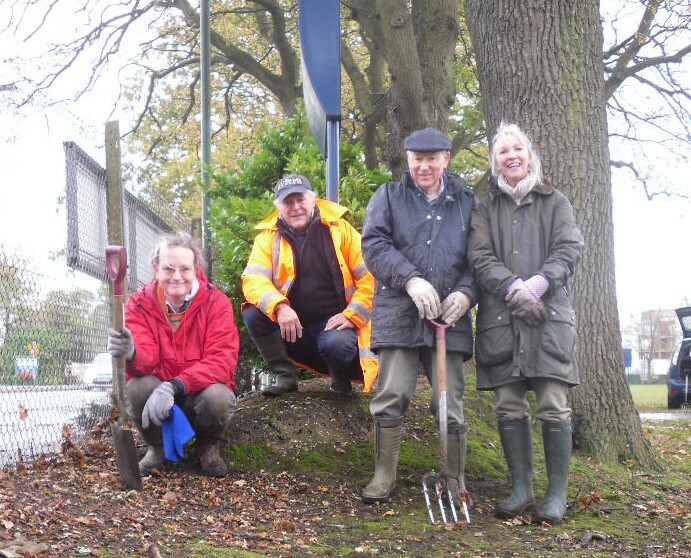 Bit easier this year because ground was moist and we planted along the car park edge facing Heatherwood, and we did not encounter buried concrete and rubble! After a late start due weather, we managed to plant 500 bulbs just before the rain returned. So don’t forget to smile at our dancing daffodils next spring. We won !! Yes AHS have won the Henry Street Quiz again. Yateley were the hosts of the evening having won it last year. Fab evening. Thanks to the Owners and all the staff at Henry Street Garden Centre and all the clubs and supporters on the night. Yes, we now have to sort out next years questions! 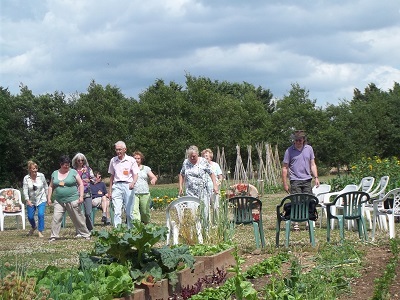 Had a lovely BBQ with the Jealott’s Hill Landshare group and must thank everyone for the great food, salad fresh from the plot and plenty of fruit for after’s. 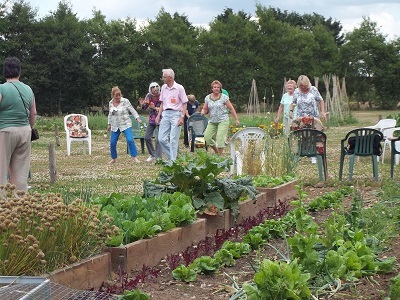 Thank you also to John for the line dancing session amongst the flower beds. New show gallery page now done, sorry for the wait but still learning the wonder of the web. 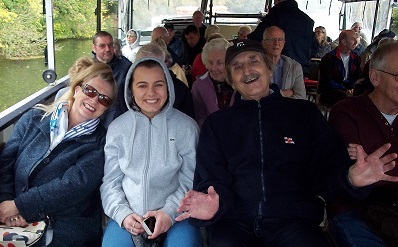 Our day out at Wisley was another roaring success thanks to Peter’s organisational skills. The weather was great and the gardens were wonderful once again. April brought the first of our society shows. The Spring show was well attended with lots of wonderful entries bursting with colour and life. The judges commented that all entries were of a very high standard. Well done you show stoppers. The entries in the photography section were used on the website as our ‘Spring Headline Banner’. February has started rather well. 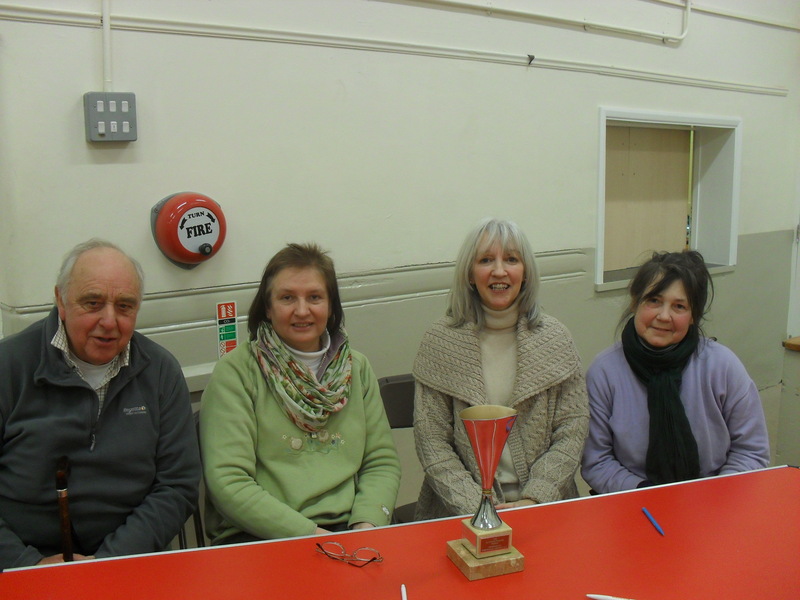 We had our annual quiz night with Sunningdale and managed to retain the Fosdick trophy. Well done team; Jim, Sue, Liz and Annette. January 2015 has been all go so far. 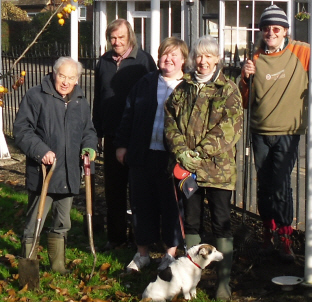 Good monthly meeting followed by a joint venture with Jealott’s Hill Community Landshare. 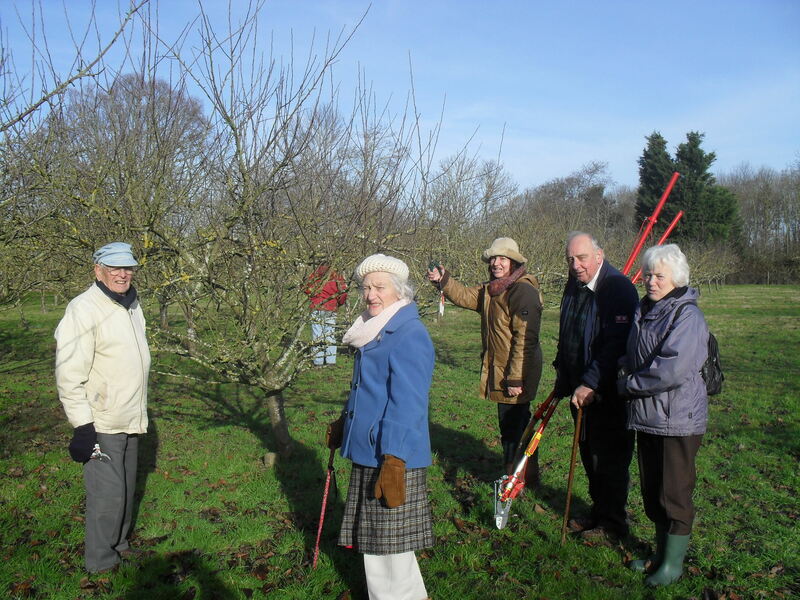 We took part in an educational workshop on how to prune apple trees. Although a cold day with lovely blue skies we really did learn a lot from Graham Talbot. As you can see we were dressed for the occasion. 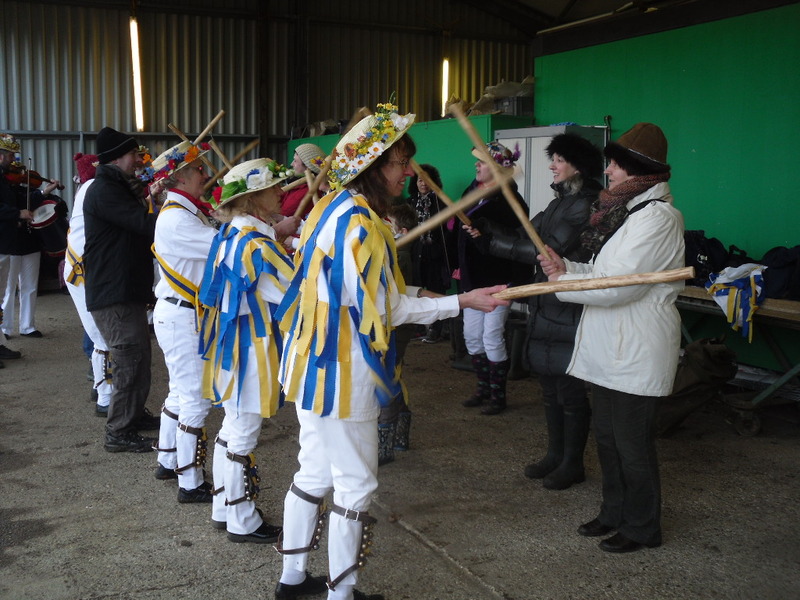 Then ,if that was not enough many of our members turned up for the Wassail. 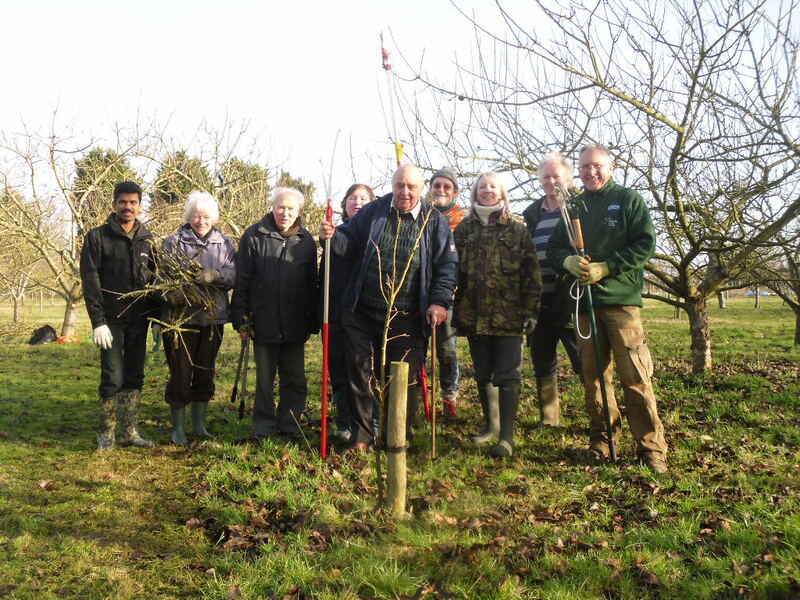 Singing songs, shooting a wren (not a real one) placing food and cider around the apple trees, burying a robin (also not a real one) the Ellington Morris performed the duties with a very professional performance. Enjoyed by all and for those eagle eyed amongst you, can you spot the guest Morris dancers from AHS. Looking forward to next year. 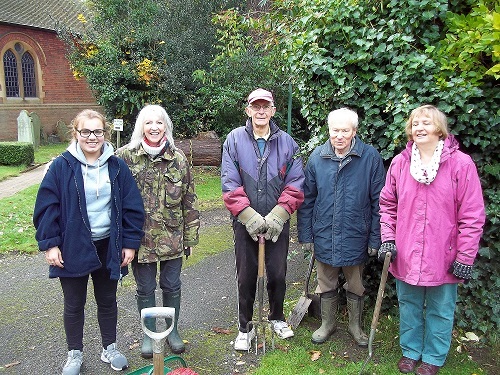 As a group of enthusiastic diggers we try to spread some colour and smiles around our area. We hope you like the daffodils in Ascot High Street in car park 5. We have been building up the displays over the years with bulbs provided by RBWM. 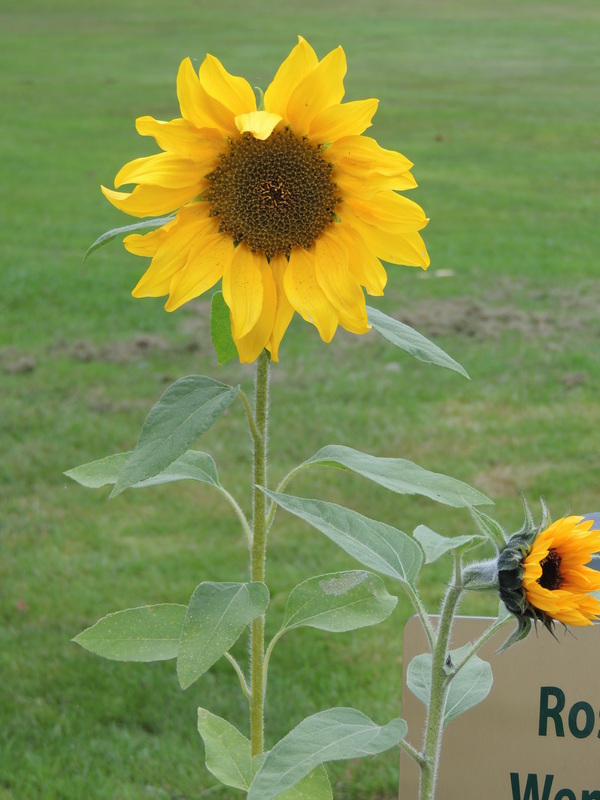 Our latest planting plot was inside the racecourse facing the Heatherwood roundabout. So look out for our efforts Spring 2015. 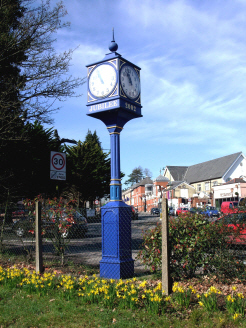 We have also planted ‘Thames Hospice Little Gardens’ around North Ascot at Green Meadow Surgery and at the memorial corner of London Road and Priory Road. 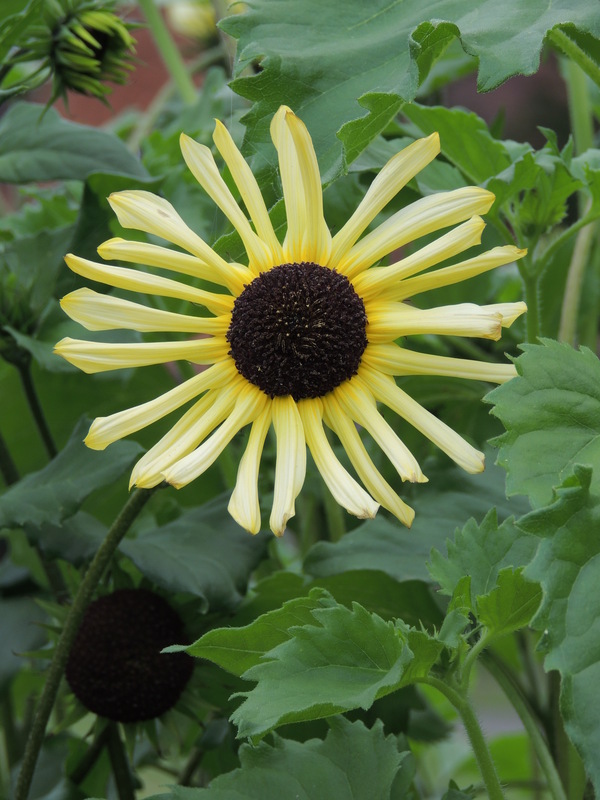 2014 was the RHS ‘Growing for Gold’ year, they provided seed to affiliated societies to grow and plant out. We managed to get children attending the May Day celebrations at Carnation Hall to plant the seeds in pots, our members grew them on and when strong enough we planted them out at the local playing fields at King George V and Asher. Thank you to Winkfield Parish council for their permission. 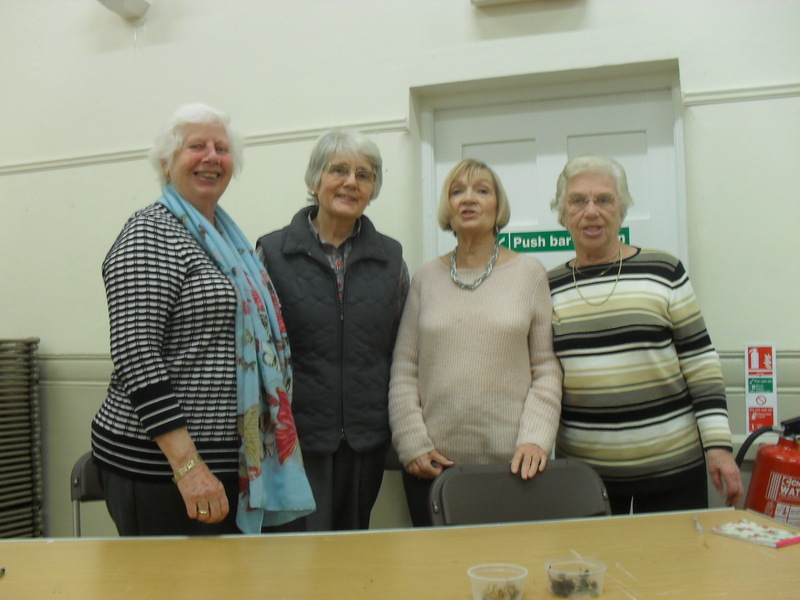 Our members kept them watered and they looked lovely, we hope they made you smile. You will always see our members at most of the local fairs and we usually have lots of lovely plants to sell!